A lot of people like to do a quick search online and then book the first of the Destin vacation rentals they come across. Then something happens. They arrive in Destin and they are disappointed. You can easily avoid this problem by doing your homework before you make your reservation. That way you won’t have any trouble finding the right Destin vacation rental for your trip. Destin vacation rentals come with a variety of amenities. It is up to you to decide what you want beforehand so you can get the rental you want. For instance, do you want a swimming pool? Maybe you want a whirlpool, or a golf course. You can also get a rental with a tennis courts onsite. These are just a few of the amenities you can get with Destin vacation rentals. Think about the amenities before you make your decision. That will put you one step closer to getting the perfect rental for your trip. Thinking about amenities isn’t enough. You also need to consider your location. You can find Destin vacation rentals in various locations around the town. If you want to stay in the middle of the action, consider staying in Sandestin. Then, you can play golf, go shopping, and eat without leaving the resort. If you prefer something private, Holiday Isle might be right for you. It’s the most secluded area in Destin. 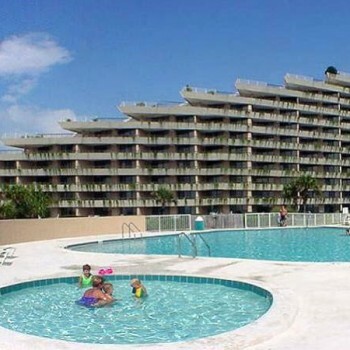 These are just a couple of examples of places you find Destin vacation rentals. Finally, you need to do some comparison shopping. You can do that on our sister site, DestinCondos.com. DestinCondos makes it easy to search for and Bok your next rental. The perfect vacation rental can turn a good vacation into a great one. start making plans so you can book the perfect rental.